BleachHouseLibrary.ie: Blog Stop Q&A with Hannah Beckerman, author of "The Dead Wife's Handbook"
Blog Stop Q&A with Hannah Beckerman, author of "The Dead Wife's Handbook"
I have added a copy of my review of The Dead Wife's Handbook, which was on the blog last month, just underneath the Q&A session for those who missed it. 1. How many false starts did you have with writing “The Dead Wife’s Handbook”? When I initially wrote the first chapter (which only my husband and a friend, Stephanie, ever read) Rachel was more sassy and comedic because I imagined that’s what readers would want her to be. The feedback from both my husband and Stephanie was that the voice didn’t ring true (they were right) and that there was a more profound, serious book to be written which was actually more in keeping with my own emotional sensibilities (also true). So I allowed Rachel to become who she is now: more thoughtful and emotionally engaged. There were plenty of other subtle changes during the twenty-three drafts of the book, but that early change of emotional direction was really key to what the book became, and proves how important it is to have early, trusted readers of your work. 2. Did you feel the grief of the characters as you wrote them? Absolutely. By the time I actually started writing the book in earnest, I’d been thinking about - and ‘living with ‘ (in my head at least) - all the characters for six months. I knew and loved them and absolutely felt their pain, which meant that I did cry quite a bit while writing some of the scenes between Max and Ellie, and during a fair few of Rachel’s reminiscences. 3. Did it make you appreciate your family even more seeing it from another perspective? I was pregnant with my daughter when I wrote The Dead Wife’s Handbook, and she was six months old when I was working on my editor’s notes. When I was initially writing the book, I could only imagine what it might be like to leave your young child behind. By the time I came to revise, and was a mother myself, I felt acutely that sense of fear of never wanting to leave her prematurely. So in my revisions some of Rachel’s distress about that became more pronounced. I think it’s a two-way dynamic: I think my own worries about ever leaving my daughter played into the narrative, but in writing the book I’ve come to cherish more every day that I have with her and my husband. 4. Should Mothers consider leaving notes for their loved ones in case of unforeseen death, or should we leave our thoughts to fate? I think that’s a really interesting question: who do you want to be responsible for your legacy? The truth is, others will always be the guardians of that because once we’re gone there’s nothing that we can do to control it. The only thing we can do is live the kind of life that will leave behind the kind of legacy we’d like. Having said that, my family are big letter and card writers (and hoarders) so I’ve read acres of correspondence between my (now deceased) grandparents. And my husband and I have written many letters and cards to our (seventeen-month old) daughter already to mark significant occasions. So I guess it’s a combination of the two. 5. You have a huge presence on Twitter. Does it help that you get to “know” your readers? It does, definitely. Some of the feedback I’ve had on The Dead Wife’s Handbook - particularly about the moments people felt were particularly effecting or moving - have already started to influence my revisions for book 2: having that kind of detailed feedback is invaluable. But what I most like about Twitter is that it helps me feel part of a community with both readers and writers. 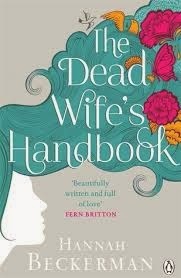 I think publishing The Dead Wife’s Handbook might have felt like quite a lonely process if there hadn’t been all that fabulous support from the blogging community (it made publication day feel like a very unique birthday). And there are days - like in any job - when you’re struggling or just not feeling particularly motivated, when Twitter can be a huge support. 6. How do you react to bad reviews, if you get any? I don’t think there’s anything that can prepare you for a bad review (however much other authors warn you that they’re inevitable). Someone on goodreads gave the book 1-star and, of course, instead of focussing on the fifty 5-star ratings, I focussed all my attention on that one bad one, even though, having read her review, I understood why the book hadn’t been for her. When you’ve poured your heart and soul into something, I think it’s always going to be upsetting when someone (very publicly) doesn’t like it. But the thing my husband keeps reminding me is that no book is going to please everyone and that if you’re going to happily accept approbation, you have to take the criticism too, and he’s absolutely right. It’s ironic, though, that writers - who are generally pretty sensitive types - choose to do something with their lives that’s so open to public criticism. 7. Do you feel it’s easier to write something now, considering that your first novel is such a success? I wish! 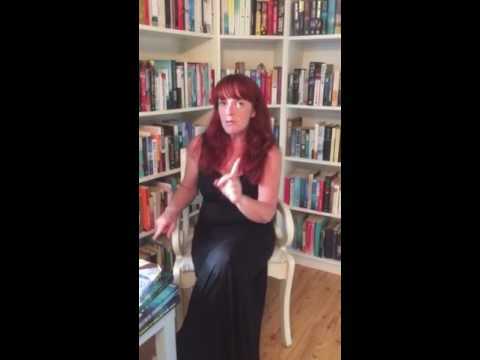 Every author I’ve spoken to - even those on their fifth or sixth book - has told me that whatever book you’re currently writing feels like the hardest book you’ve ever attempted. But, of course, you forget that about the last one once you’re on the next. Also, I think a lot of writers aren’t the kind of people who ever necessarily think they are a success so you’re always striving to do better next time around. 8. Do people ask you for writing tips more now, since your book was published? Actually, people ask more about publishing tips: how to find an agent, how your book gets a publishing deal etc. I think a lot of that stuff is a bit of a mystery until you’ve done it so it’s knowledge and experience I’m more than happy to share. 9. Is the balance of writing and motherhood difficult? 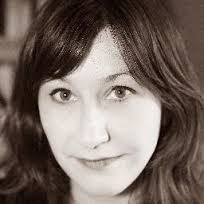 It is definitely a constant juggling act, although largely one of my own making: I’ve chosen to look after my daughter full-time until she starts pre-school in the autumn and of course that means rather less time to write than I’d ideally like. I tend to work very early in the morning (5am) for a couple of hours before my husband leaves for work, during her lunchtime nap and at weekends. It means there’s not much time for anything else at the moment (including sleep) but I love hanging out with my daughter and everyone keeps telling me how time as a parent just whizzes by and suddenly one day they’re off to university and you wonder where the hell the last eighteen years went. So it can be tricky, yes, but I don’t think I’d really want it any other way right now. 10. What current authors do you admire? Authors whose books I really look forward to include Nicole Krauss, Siri Hustvedt, Sarah Waters, Ian McEwan, Julian Barnes, Paul Auster to name but a few. Philip Roth would have topped that list but he’s retired from writing, which I guess is fair after five decades! Thanks to Hannah for answering the questions so honestly and sharing an insight to how she works.